The 8th Business of IP Asia Forum (jointly organised by the HKSAR Government, Hong Kong Trade Development Council and Hong Kong Design Centre) was held on 6 and 7 December 2018 at the Hong Kong Convention and Exhibition Centre. 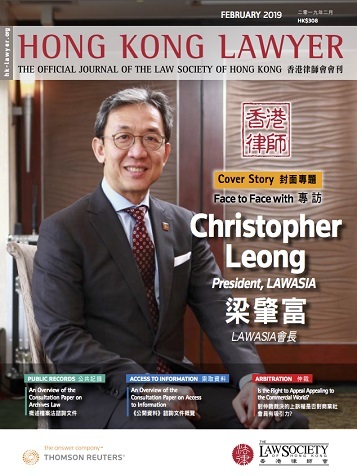 The Law Society of Hong Kong was one of the supporting organisations for the event. This year's forum attracted more than 2,600 participants from 29 countries and regions, and featured more than 80 speakers. The number of participants this year is record-breaking. Mr. Anthony Evans (left) and Ms. Annie Tsoi (right), members of the Intellectual Property Committee, spoke in one of the breakout sessions entitled “Shape Matters – Latest Development of Protection of 3D Trademarks”. The Law Society’s session was one of the most popular and recorded a good number of participants.